Deciding upon what is right for you entails a large amount of research; given how wide and varied the roles are you need to consider carefully what would suit your skill set, and whether you’re prepared to undertake training. In order to be successful in your job search and application, you should carefully read the given job description, and change your covering letter and CV to suit; the NHS receive one of the largest numbers of applicants for practically every position they post, so be prepared for tough competition. Once you get through to interview stage, you should brush up on your interview skills by researching some commonly asked questions during an NHS job interview. 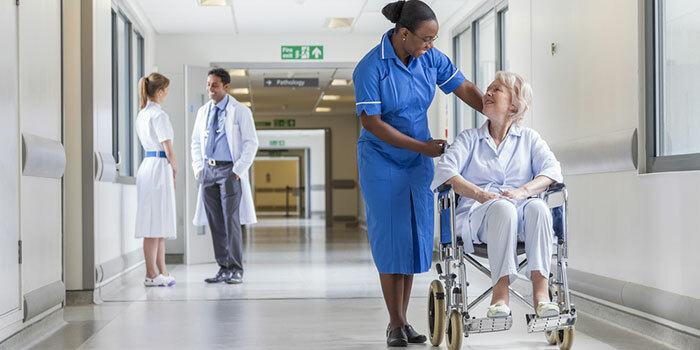 The current landscape of NHS jobs is amongst the most wide and varied collection of jobs on the current market; from unskilled, relatively low paid positions, to NHS jobs that demand years of experience and extensive qualifications. The NHS jobs market truly has something for everyone, regardless of age or experience. Many NHS jobs that are relatively well paid are attainable by undertaking courses that are funded by the NHS themselves; for example, nurses are sent to university, and undergo an intensive 3 to 4 year course. Whilst this requires dedication, the end result is a well paid job with a promising career ladder. Additionally, even for the minimum wage, entry level jobs, there are always opportunities for you to work your way up the career ladder; from the humble ward cleaner, you could become a hygiene manager, who is in charge of a team of staff; or you could work your way up from canteen assistant to catering manager, overseeing all the operations that are vital in the day to day running of a canteen. The Job and Staff database of jobs includes all the NHS jobs that are available on the market at any given point in time. Their one stop search engine makes job hunting a breeze, and allows you to view the job position directly, applying via their website should you so wish.